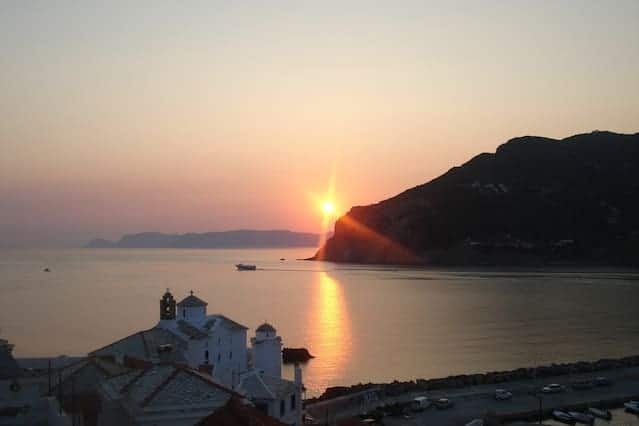 In the picturesque main Village of Skopelos, in the parish of Christos and above the old port, in a beautiful Skopelos traditional neighborhood, is located our house. Semina’s House is located in the old harbor of Skopelos Town. The house offers the guest magnificent views to the Aegean Sea. Moreover, close to Semina’s House is Skopelos Port. At Port is the local market. Furthermore, the house has two bathrooms (one WC), three bedrooms and a fully equipped kitchen. Additionally, there are two large TVs in the house. The unit can accommodate up to 7 people. 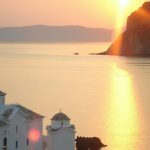 In Skopelos port there are traditional tavernas and restaurants as well as cafes and bars. In Skopelos Town you will find patisseries, bakeries, supermarkets and shops with seasonal items and souvenirs. You should buy, as souvenir, one of the famous knifes of Skopelos. Moreover there are many great art pieces from local artists, especially ceramics and painters. Also there are many shops with excellent handmade jewelries. 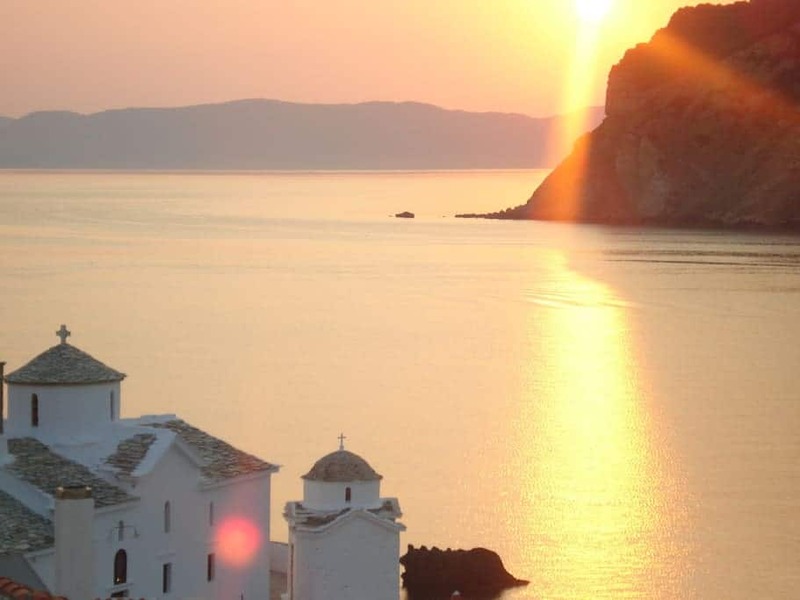 In Skopelos there are several archaeological sites and museums to visit. 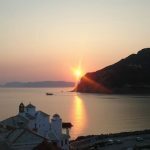 In Skopelos Chora, you should go to the Folklore Museum of Skopelos. You can even go to the monasteries of the island. The nearest beach to Semina’s House is Stafylos beach, which is 4 km away. Agnontas Beach is about 8 km away while Panormos is approximately 12 km from the accommodation. More beautiful beaches to visit are Limnonari, Milia, Kastani and Hovolo. Kastani beach is famous because many scenes of the Hollywood movie Mamma Mia were filmed there.